What is the Future of Watchmaking ? That’s the issue Franck Dubarry is addressing. Visionary, he founded his eponymous brand in 2016, with a strong intention to merge creativity & innovation. Bringing new codes to watchmaking. 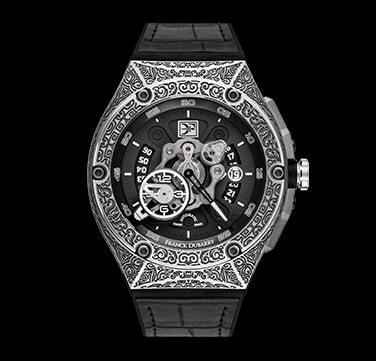 Developing high end & avant-garde designed timepieces. Using the most advanced technologies to build creative designs with innovative materials. A forward-looking brand, always a step ahead. 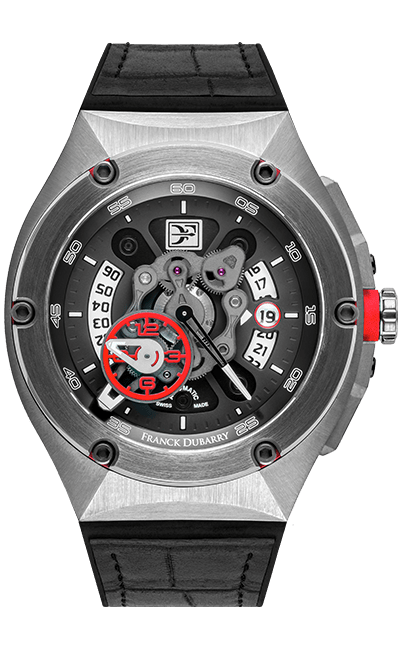 Franck Dubarry watches are all about expertise & advanced technologies to serve Design. These are luxury timepieces produced in Switzerland, moved by in-house complications, developed with avant-garde technologies, that gives a proud feeling of owning a unique piece of high technology well ahead of its time. Mankind’s future is in the plural. We live several lives in one, and our social codes are a perpetual motion. Franck Dubarry luxury watches offer different functions to fulfill each moment of a whole life, from action times to elegant parties. 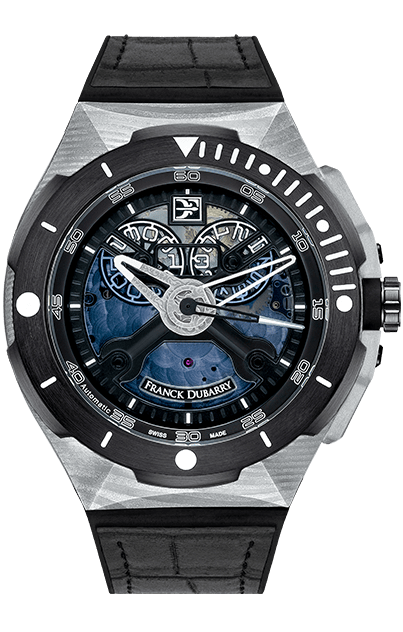 Franck Dubarry timepieces are a fusion of high end watchmaking, creativity, elegance and functionality. They are Hyperactive watches. Watches for free people, for Mavericks, Forward thinkers. Free to be oneself, Free to reinvente the World we live in. Retailers Where can I find these watches? Are you interested in distributing our Brand? Find Franck Dubarry watches in quality retail stores. Click here to find your nearest Franck Dubarry retail location. For more information about becoming a retailer, click below.